For a wildlife-rich experience not soon to be forgotten, pedal, then paddle, the Rice Creek Chain of Lakes up in the Twin Cities Gateway Area. With an abundance of bike trails and roads to get there, you will find several options at Wargo Nature Center once arriving. Head out with a paddle, hike, or bike the trails that meander around the chain of lakes shoreline in this mammoth park reserve in the Twin City Area. Paddling the Twin Cities Gateway’s Rice Creek Chain of Lakes is a wildlife-rich experience to remember. Rice Creek Chain of Lakes is located near the community of Lino Lakes, on the southside of Interstate 35W. 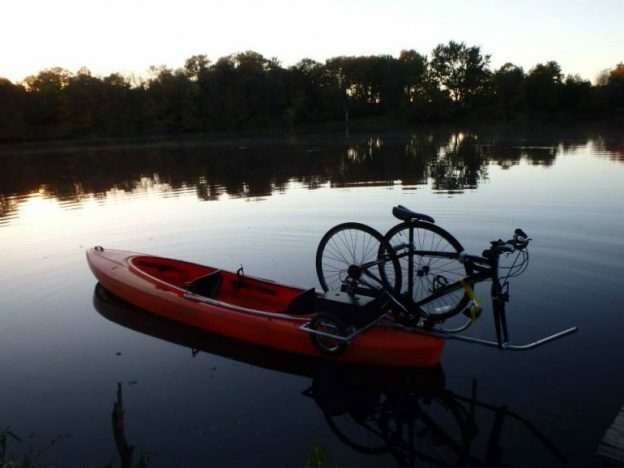 Once there, Nature Center can fix you up with canoe and kayak rentals to paddle Rice Creek Chain of Lakes. It is a bit of heaven in the north metro area. Being able to paddle out from the Nature Center on George Watch Lake is a tranquil experience. Through the summer and into the fall, you can paddle out from the dock at the Nature Center and connect to one lake after the next. Along the way you are sure to see occasional Leopard frogs hopping off a Lilly pad. Then, perhaps you’ll ever see a Blue Heron and Snowy White Egrets lift off as you pass by. 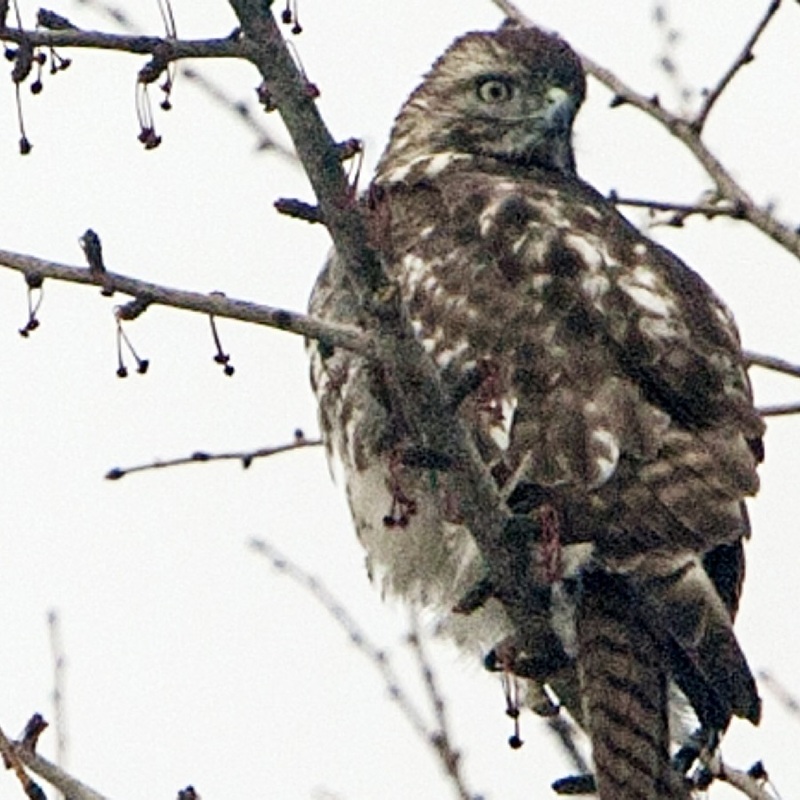 Hawks are common spectator watching as you paddle along the water trail or along the bike trail in the Reserve. The creek and lakes on this water trail offer excellent bird watching opportunities. And this is the perfect place for the novice paddler. Adventurers will see plenty of raptors such as egrets and herons that perch in nearby trees or forage along the shoreline. Along the way, you may see a sandpiper scampered across a sandbar. Egrets and Blue Heron are common to see as you paddle. Maybe you’ll see a soft-shell turtle sliding off the bank. Or maybe an eagle, osprey, or Turkey Vulture swooping down to grab its meal as a fish jumps. It’s scenic and wild at its best, right here in the Twin Cities Gateway! The nearly 5,300-acre Rice Creek Chain is one of two regional parks in the Twin Cities Area that offer multiple-lake paddling. According to many who paddle this north metro chain, the mix of lake and forest vegetation makes it feel like a mini-Boundary Waters Canoe Area. The other reserve in the south metro is Lebanon Hills Park. Lebanon Hills Park is a 2,000-acre multi-lake area with only portage paths between them. Generally on the Rice Creek Chain portaging is not necessary. The only exception is the occasional downed tree to circumvent, which normally happens in the spring. This rustic North Metro reserve has a water trail wandering through several lakes before it reaches Rice Creek. Rice Creek is a more challenging, less-traveled stretch that flows south to Long Lake. From there, it heads to the Mississippi River. Paddlers who want a longer trip can follow Rice Creek out the northwest corner of Long Lake, in New Brighton. Here, the creek flows to the Mississippi River at Manomin Park in Fridley. The complete paddle from the Lake Peltier boat ramp in the Rice Creek Reserve to the Mississippi River is about 22 miles. 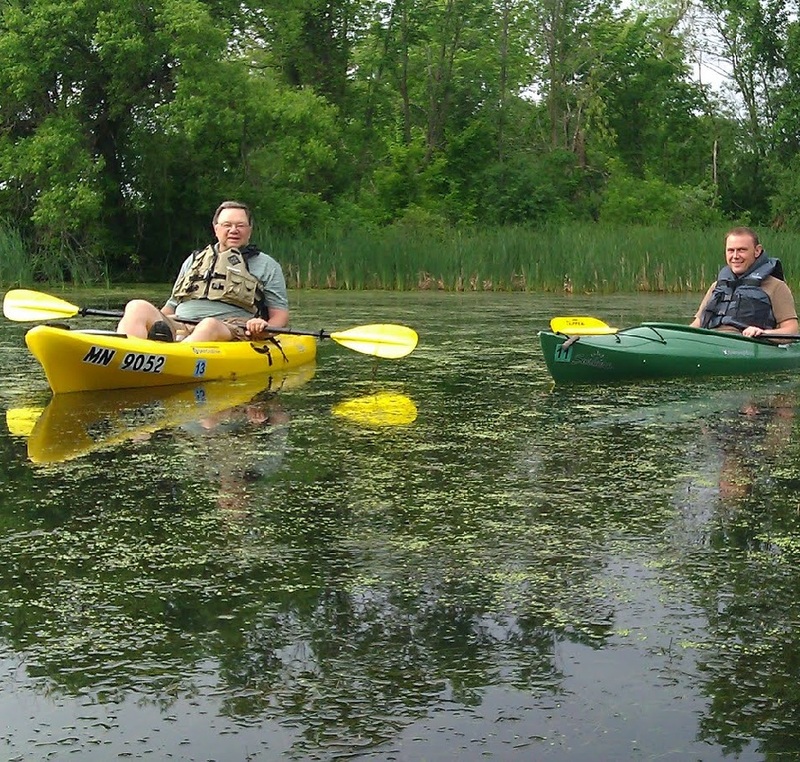 For canoe, kayak, and life jacket rentals, Wargo Nature Center is the place. Located on George Watch Lake, rentals can be used on: Peltier, Marshan, Rice, and Reshanau Lakes. Paddle craft rentals are available May through September, during normal hours. Here is their website for rental prices and times: https://www.anokacounty.us/874/Recreational-Rental-Equipment. 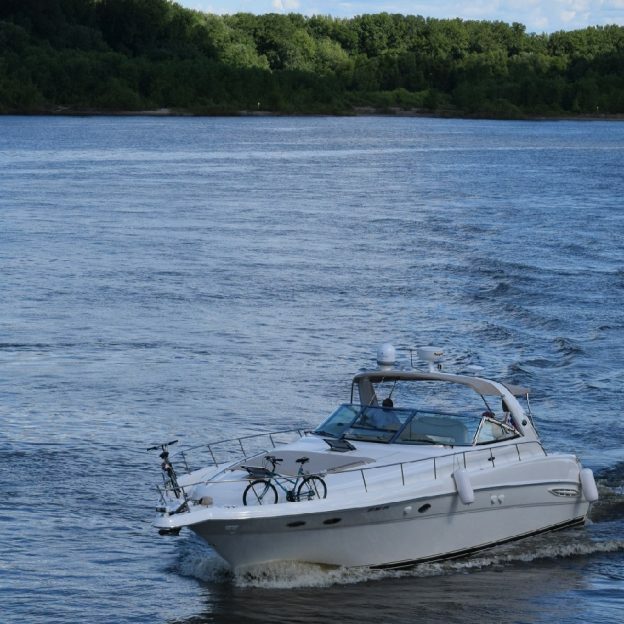 Call 651-429-8007 to check watercraft availability, lake temperatures, and water levels. For those who want to use their own canoes or kayaks in the reserve, paddling access points include Rice Creek crossings near: Hodgson Road, Lexington Avenue, County Road I, and County Road J. In the winter the Wargo Nature Center rents snowshoes for those who want to explore the park in a colder season. This entry was posted in Destinations, News, Picture of the Day and tagged #next adventure, #nextbikeadventure, #onlyinMN, Anoka, bird watching, birding, Blue Heron Days, Blue Heron Rookery, boating, canoeing, Lino Lakes MN, Marshan Lake, Peltier Lake, Reshanau Lake, Rice Creek Chain of Lakes, Rice Creek Reserve, Rice Lake, Twin Cities Gateway, Wargo Nature Center, wildlife on September 16, 2016 by Russ Lowthian.